Jadon Sancho says Christian Pulisic's outstanding ability, commitment and passion for the game is an inspiration for him. Sancho, 18, has scored six goals and set up another nine for Dortmund this season, who lead the Bundesliga by seven points and are well placed to end Bayern Munich's six-year stranglehold on the title. "The club had shown with a player like Christian Pulisic that they were going in the right way, playing youngsters and giving them a chance," Sancho said. "He came from the same situation as me, leaving his family behind. Pennsylvania-born Pulisic, who recently secured a £57 million move to Chelsea for next season, was 16-years-old when he joined up with BVB in 2016. 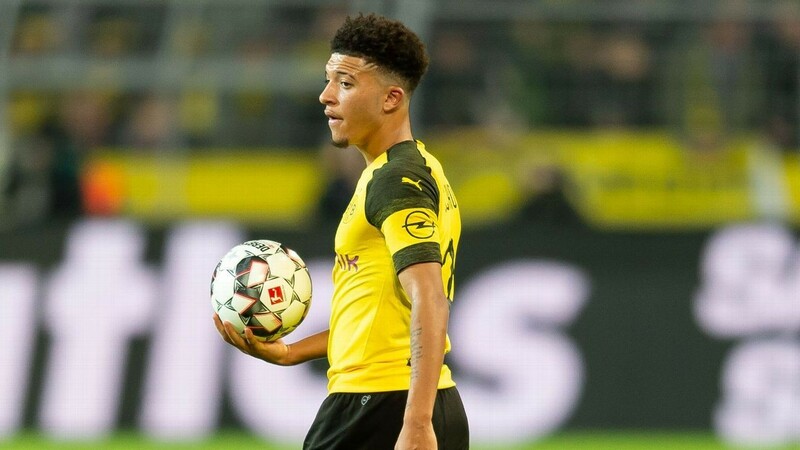 Sancho made the switch to the Bundesliga aged 17 and has become an England international and one of Europe's hottest properties on the back of eye-catching performances for the Bundesliga leaders. But he continues to regard Pulisic as a role model, having followed a similar career path like the United States international. "He's an outstanding player, I really do look up to him," Sancho said. "Him going away from home shows that you have to do things to get out of your comfort zone, sometimes. I feel it's worked for him and it's working for me now, because we're both staying focussed and keep training hard."